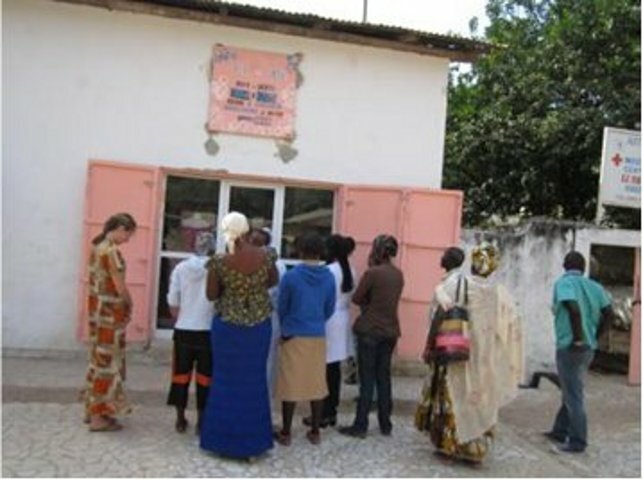 This exciting new project, the vision of Bethan the wife of the Clinic Director, Ténébou Manga, opened on 21st December 2011 in a room on the clinic site with a shop front opening onto the main road. 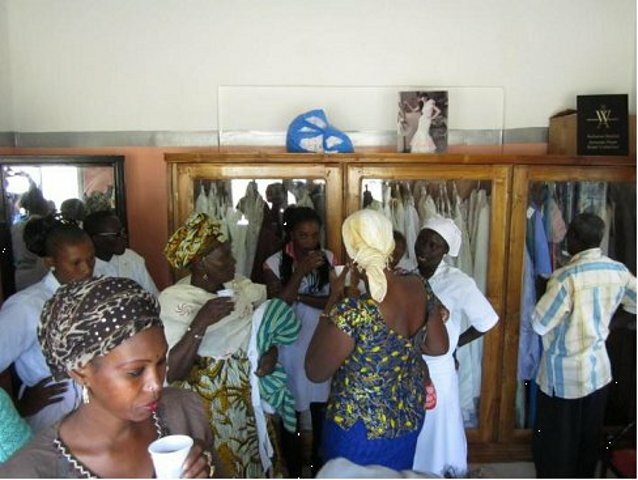 The boutique is a response to the huge financial burden which wedding ceremonies – very important in Senegalese culture – place upon poor families. Instead of purchasing or having made wedding and bridesmaid dresses, groom’s clothes etc, they can be hired from the Wedding Boutique at very affordable rates. We will also have a selection of quality second-hand clothes to sell. The cost of wedding dresses in Senegal is similar to the UK. Hiring a dress costs £200-£250 per day. In Ziguinchor where ARM-Senegal works, the options are even more unrealistic due to lack of availability. However, there remains a high pressure on the couple to spend above their means and provide a huge party that shows wealth. Couples and families often take out debts. We see the boutique as a way of blessing people with beautiful quality dresses at affordable prices. The market is huge and barely touched. It is hoped that the boutique will also generate income to support the work of ARM-Senegal and to enable l’Eglise Vivante to have the means for sending and supporting new missionaries in the future from their church. There is also the possibility of selling a small range of products made by locals in need of income, with profits split between them and ARM. As the boutique expands we hope to add in other aspects of the wedding service such as cakes and venue decorating.